Following a diagnosis of pleural mesotheliomia and a prognosis of less than a year to live, 61-year-old James Rhio O’Connor did the unthinkable: he lived another 8 ½ years. His prolonged exposure to asbestos as a youth contributed to the formation of tumors near his spine that prevented chemotherapeutical and surgical options. Mr. O’Connor was advised to savor his last year peacefully and gently. Instead, he defied doctors and medical professionals by formulating his own treatment method, physically and spiritually strengthening his body and mind to survive the ravages of his fatal condition. His decision to play an active role in his treatment and subsequent survival attest to a firm-willed character and passionate drive to prosper. Similarly, as a firm believer in the value of homeopathic medicine and the power of the human mind, I feel strongly that if presented with a terminal prognosis I would fight to prolong my life through whatever means possible while still possessing the power. I would take advantage of the scientific and intellectual resources at my disposal to ensure that no opportunities or alternatives are bypassed; I would not succumb to the passivity of an ill individual bowing to the commands of medical intellectualism and proposition. Fiercely spiritual, independent, and self-sufficient, I would not rely on the words of my doctors and advice of my peers; rather I would seek out personally the answers to my questions, concerns, and trepidations. Much like James Rhio O’Conner, I would not consent to treatment or advice without first examining all possibilities, weighing benefits and drawbacks, and coming to a fully informed and wise conclusion. Unfortunately, I am no stranger to the grim warning that “you have just a few months to live.” I have lost several family members and loved ones to cancer throughout my short 21 years, many of whom were not aware of their condition until they had “just a few months to live.” I have watched my family members undergo the harsh treatments associated with cancer eradication – radiation, chemotherapy, surgical removal – all of which, sadly, failed to remove the scourge of the disease. I have seen my grandmother too weakened by her chemotherapy to pick up my baby sister, her granddaughter, on the day she was born. I have watched my grandfather too sickened by his radiation to swallow another horse pill or lift a fork of mashed potatoes to his mouth. I have seen my beautiful cousin’s hair fall off in chunks on her pillow as she sleeps at night. Ultimately, I have watched each of them passively move on from life, too tired, too sick, too weak to fight the disease any longer. It is a fate to which I could not, would not, allow myself to succumb. For this reason, I would research extensively the long and short-term effects, both physical and psychological, of prolonged exposure to radiation and chemotherapy. Although cancer may kill me, the weakening of my immune system would expose me to countless untold diseases that would attack my vulnerable state. Why eliminate the threat of one disease only to die from another? Alongside the devastating, debilitating effects of such harsh attempts to kill the viral cells, however, treatments such as radiation and chemotherapy can provide otherwise unattainable hope for a cancer patient. I would therefore not entirely eschew the possibility of undergoing these medical procedures; I am well aware of the miraculous advancements science, technology, and medicine have made in regards to cancer amelioration and eradication and would not hesitate to benefit from their offerings. 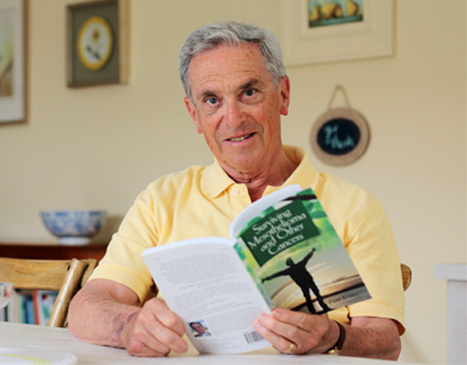 Speaking with individuals that have fought and recovered from the disease, reading literature on the latest cancer treatment updates, discussing consequences with my doctors, seeking out second and third opinions, and relying on the advice of my friends, family, and instinct, I would determine whether or not a certain procedure aligns not only with my medical needs but my personal preferences. Although I have not had the opportunity to see the results of homeopathic and therapeutic medicine in my loved ones, I continue to argue strongly for the use of alternative approaches to dealing with terminal illnesses. I believe forcefully in the use of herbal supplements, kitchen remedies, and healthy lifestyle practices to ensure corporeal wellness and spiritual stability. I would consult (along with medical surgeons and specialists) herbal practitioners and alternative therapists to broaden my perspectives and increase my possibilities for effective treatment and recovery. This holistic approach would improve my overall physiological state of being as well as encourage my emotional and psychological assurance. As a healthier and more functional organism, my body would be more prepared to deal with ravages of both the cancer and its concomitant procedures. 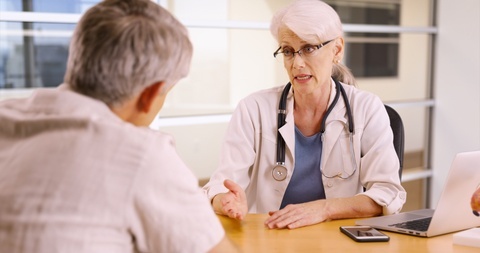 In the fear that my obstinacy and tenacity would prevent me from making informed decisions, I would most certainly concede that perhaps a dual treatment approach is the best policy for dealing with cancer prognoses. As such, I would allow my somewhat dogmatic beliefs to compromise with the suggestions of my peers and advisors. I would rely not only on the facts, statistics, and recommendations surrounding a particular procedure, but would also listen to my gut instinct and heed my body’s messages. I would not wish to spend my final several months of life in a constant state of agony and defeat; I would not become a passive victim of my disease but I would also avoid transforming into a relentless aggressor, ultimately bringing about my own demise. It is for this reason that I admire the bravery and determination of Mr. O’Connor in his final struggle; I aspire to his courageous decision to take his prognosis into his own hands and to assert his own beliefs and judgments regarding his care. In the unfortunate event that I do at some point in my life receive a terminal prognosis, I would find inspiration and motivation from the unprecedented heroism of Mr. James Rhio O’Connor.